The combined impact that biochar has on the chemical, physical, and biological properties of soil and the implications for plant growth is a new area of research (Lehmann et al., 2011) and the extent and rate of interactions is not fully understood (Joseph et al, 2010). The research conducted on biochar effects in soil suggest that the biological abundance and diversity of soil organisms can increase with the addition of biochar (Lehmann et al., 2011). The subsequent question to consider is whether or not the increased abundance and diversity of soil organisms due to biochar application results in improvements in plant growth. A study determined that biochar application, and the subsequent increase in soil organism abundance and diversity led to enhanced growth for pepper plants based on leaf area, canopy dry weight, number of nodes, and yields of buds, flowers, and fruits. Tomato plants were also studied; they showed increased leaf growth from biochar amendments. The researchers determined that “the biochar stimulated shifts in microbial populations towards beneficial plant growth promoting rhizobacteria or fungi, due to either chemical or physical attributes of the biochar” (Graber, 2010). The evidence is clear that biochar directly improves soils (Laird et al, 2010). For example, the improved fertility from adding 1 tonne per hectare of carbon to soils resulted in increased yields of up to 40 kilograms per hectare for wheat and 20 kilograms per hectare for maize (Lal, 2004). Root growth has been found to have a positive reaction with biochar. When roots and root hairs contact biochar, nutrient uptake and the release of plant exudates was enhanced (Joseph et al., 2010). Furthermore, root biomass and root tip number increased by 47% and 64% respectively, after biochar was added to soils (Makoto et al., 2010). Biochar additions to soil can increase or decrease pH in soils, depending on the feedstock and temperature of pyrolysis (Nguyen et al, 2009). But generally, an increasing pH level to around 7 or 8 in soils results in increased microbial abundance. A study showed that microbial growth nearly doubled when pH increased from 4 to 8 (Rousk et al., 2010). Biochar can be engineered so that it can either decrease or increase pH depending on the needs of the soil. If biochar can promote microorganisms that enhance plant and root growth, then the need for fertilizers may be reduced, as explained in above sections. Biochar can complement nitrogen, phosphorous, and potassium fertilizers because it has been found to improve nutrient retention (Lehmann et al., 2009). Fertilizers would still be an important part of agriculture but the overuse of fertilizers can be mitigated through the increased use of biochar. Lehmann et al (2009) highlight that overall agronomic efficiency is improved from biochar application. Rates of nitrogen, potassium, and phosphorous use were reduced because of the greater efficiency in the nutrient retention of the soil. This could potentially improve the long run profitability of the agricultural sector because of the reduced dependence on fertilizers. The positive effects that biochar has on agriculture and soil fertility are exciting, especially as soil fertility is a growing issue around the world. 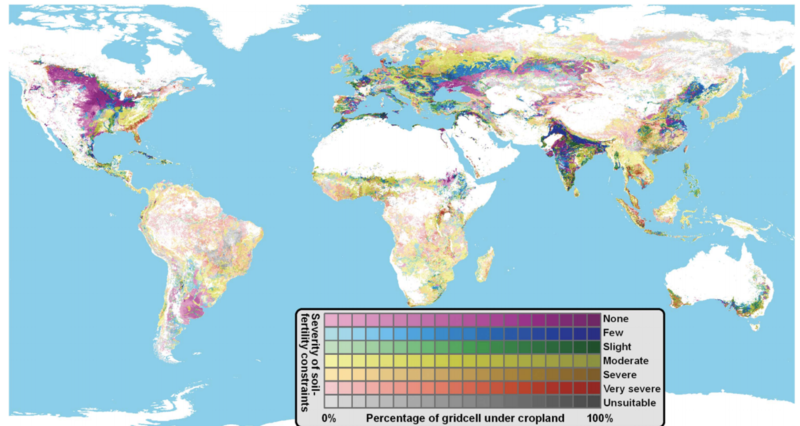 Figure 2 shows the regions around the world where soil fertility is constrained. Every continent faces soil fertility issues (Woolf et al, 2010), especially in the Amazon where the first Terra preta, carbon rich anthropogenic soils are thought to have originated. The improvements to soil fertility, due to biochar application and the resulting yields, can mitigate some of the concerns about global food security in a sustainable way. The possible implications that biochar has for agriculture can be compared to the first-generation liquid biofuels sector (Glover, 2009). The excitement around the potential for biofuels led to a rush to produce biodiesel and ethanol products. The intentions were to produce environmentally friendly, carbon neutral fuels. However, the industry generally failed to consider the sustainability of the supply chain and production of biofuels (Giampietro and Ulgiati, 2009). Environmental externalities were unaccounted for and affected the credibility of the environmental benefits of biofuels (Glover, 2009). The biochar industry must be aware of the need to be sustainable in order to maintain its legitimacy as a viable environmental solution. Leading scholars in biochar research have suggested that the varying properties of biochars resulting from different feedstocks and production methods make it difficult to make broad conclusions, and the types of studies that focus only on one or a few biochar samples result in few advances in overall research (Lehmann et al., 2011). For example, the majority of biochar studies only focus on one, or a few particular feedstocks. To respond to this issue Lehmann suggests that characterization standards should be developed so that important differences in biochar can be highlighted. This would provide standard biochar materials to the research community and would contribute to more effective comparability between research methods and results. Figure 2: Soil-fertility constraints to cropland productivity (Woolf et al, 2010). Biochar is still a relatively new area of research (Lehman, 2011), and thus, commercialization is difficult to justify without a strong understanding of its effects. The International Biochar Initiative (2015) has found specific barriers to industry expansion. The main barriers are a lack of consumer awareness and education, regulatory issues, technological constraints, and access to financing. The number of publications explaining research about biochar characteristics, feedstocks, production values and uses of biochar products have increased significantly with 421 publications in 2013, to more than 900 in 2014 (International Biochar Initiative, 2015). Companies and start-ups using this new research have also increased, but to a lesser extent. In 2013 there were 175 companies and in 2014 there were 200 companies. However, 109 of these 200 companies were established in 2014 (International Biochar Initiative, 2015) indicating a high turnover rate in the industry. These trends signal that markets for biochar are not fully matured. However, the promising potential for biochar seems to be highlighting an opportunity to establish and consolidate markets for different biochar products and applications. As more scientific studies highlight the benefits of biochar, large agribusiness may be more inclined to integrate biochar into their product mixes. Currently however, 90% of biochar commercial activity is limited to small specialty retail markets according to the International Biochar Initiative (2013). The remaining 10% commercial activity is used for larger scale markets including agriculture and land remediation. The lack of established markets, production processes, and applications due to lack of knowledge, results in a difficulty to determine the most cost effective solutions going forward. For example, slower pyrolysis, where temperatures are lower than 400°C, produces relatively more biochar, but less bio oil (Ringer et al, 2006). Bio oil can be processed and refined into an array of valuable products such as high quality fuels that can be gasified to produce electricity, chemical feed-stocks, and food chemicals (Baum and Weitner, 2006). Higher temperature pyrolysis results in less biochar and more bio-oils (Wright et al, 2008). There are trade-offs and opportunity costs that need to be considered by using cost benefit analysis to determine the optimal balance between the value of biochar and the other products produced in the pyrolysis process. This section will explore the economic viability of large and small scale biochar commercialization. McCarl et al (2009) highlight the economic costs and benefits of different industrial biochar production processes by considering the following: feedstock production and collection, value lost by feedstock removal in terms of altered nutrient and tillage on fields from which crop residue was harvested, feedstock hauling, feedstock storage and pre-processing, pyrolysis operation, energy sales, biochar hauling and application, and biochar-induced cropping system gains. Feedstock production and collection costs arise from the growing and harvesting of feedstocks. Just like any agricultural venture, inputs such as seeds, rootstock, fertilizers, equipment, labour, and land value are cost factors (McCarl et al, 2009). If crops, like switchgrass or poplar are being grown for the sole purpose of energy and biochar production, the opportunity costs obviously must be competitive with alternatives such as corn, soybean, and wheat. The collection and purchase of other sources of biomass would also be costly. These sources could include materials at municipal wastes management sites, and crop residues such as corn stover, and logging and milling waste. The costs of accessing and hauling remote logging operations could be a significant barrier for woody biomass feedstock. Biomass collection in large agriculture production areas would be more economically viable. McCarl et al (2009) estimate the cost for harvesting and moving corn crop residues to the field edge to be around $13 per tonne. Another important cost to consider is the loss of available nutrients to soil ecosystems when feedstocks are removed. When feedstocks or biomass are left on a field, they decompose and are broken down into nutrients that become available to another succession of crops. As a result, more fertilizers are needed to make up for the lack of nutrients in the soil ecosystem. This is a large expense for large farming operations. The cost for fertilizers is estimated to be around $10 per tonne of removed biomass residue. At the same time, a study by Lehman et al (2003) calculated that biochar reduced leaching of nitrogen fertilizers by 60% and increased crop productivity by 38 to 45%. McCarl et al (2009) used this study to estimate that the application of biochar would result in 20% cost savings in fertilizer and 10% cost savings in irrigation. The price of feedstocks used for biochar production is estimated to cost $59.44 per tonne on average when all costs are considered (McCarl et al, 2009). Meanwhile, the market price of biochar ranges between $120 to $480 per tonne depending on quality (Lehman & Joseph, 2009). The operation of biochar facilities is significant capital cost. As such, it is a considerable barrier to the large scale commercialization of biochar processes. The process can involve drying, storage, technology and facilities used for bio-oil and syngas recovery, and/or electricity generation capacity that burns bio-oil and syngas in large scale generators. Other costs would include labour, utilities, maintenance and overhead. McCarl et al (2009) estimate the total capital costs required for a modern biochar production facility to be $23.7 million. The start up capital costs can be offset by selling electricity produced in the pyrolysis process as well as offsets created by selling carbon credits. Even with the revenue streams from electricity generation and biochar sales, the study conducted by McCarl et al (2009) concludes that both slow and fast pyrolysis production methods using corn residues as a feedstock both end up with a net loss of $70.08, and $44.62 respectively per tonne. Carbon prices, electricity prices, and biochar prices all will have to increase significantly before a commercial large scale biochar facility using corn stover feedstocks becomes profitable (McCarl et al, 2009). A significant issue for large scale biochar commercialization is that externalities are difficult to price. Positive externalities are often under-provided for in the marketplace and a mix of institutional mechanisms, regulation, legislation, and economic instruments are needed to correct negative externalities (Pretty et al, 2000). Mainstream investors need to become more informed about sustainability issues and the potential for biochar as a tool help mitigate environmental issues. Once externalities are brought into account for energy production processes, as well as agricultural production, the competiveness of biochar products is likely to increase. Although studies indicate that industrial scale biochar production is not yet economically feasible (McCarl et al, 2009), there is opportunity for smaller scale biochar projects at the household, farm, and village level. A prime example is cook stoves that use solid biomass as the energy source. About 2.7 billion people around the world in 2013 cook by burning biomass (World Energy Outlook, 2013). The potential for biochar cook stoves is highlighted by the International Biochar Initiative. Biochar cook stoves benefit health by reducing the amount of harmful particulates and carbon monoxide. The climate can also benefit because biochar cook stoves produce less green house gas emissions. The produced biochar can store carbon and reduce the need for fossil fuel based fertilizers as well. Deforestation is also reduced from biochar cook stoves because less fuel is needed and a wider variety of feedstocks can be used. Atmospheric Brown Clouds (ABC), which are largely caused by the incomplete combustion of fuels, consist of aerosols that are a major contributor to climate change. According to the United Nations Environment Programme, ABCs increase solar heating of the atmosphere and deposit black carbon which increases radiative forcing in certain regions (UNEP, 2008). Biochar cook stoves have the potential to burn cleaner, produce fewer pollutants that contribute to ABCs than the alternative, and produce biochar (Anderson, 2009). There are researchers and programs dedicated to developing affordable biochar cook stoves, however, a lack of funding and interest is limiting the scale of the applicability of the results (IBI, 2015). Nevertheless, in-depth studies have been conducted to measure the hypothetical outcomes of a biochar initiative from a socio-economic perspective. One case study examined the possible effects of biochar stoves and biochar production in a village of 950 people in 200 households in a tropical area of Asia. The cash-flow of all the contributing cost and benefit variables shows a payback period of less than three years with an internal rate of return of more than 50%. The study shows that a small scale project household and village biochar project, under certain assumptions, is economically and financially viable (Joseph, 2009). The study also highlighted non-quantifiable benefits from the village biochar initiative. These benefits include improved air quality in households, easier soil tillage, improved water retention, increased agricultural yields, more leisure time, and increasing community involvement. The potential for smaller scale biochar projects is much more realistic than large scale industrial operations with respect to current markets for electricity, carbon, and biochar. Joseph (2009) puts an emphasis on the need for stakeholder involvement in project design and assessment processes for smaller scale operations. Many of the benefits from biochar application and production benefits are difficult to measure and monetize, especially in developing countries which may lack institutional capacity. These benefits include air quality, soil improvement benefits, rural population health, and carbon storage. Anderson, P. (2009) Biomass Energy Foundation. CO and PM Emissions from TLUD Cookstoves. Presented at 2009 ETHOS Conference, 23-25 January 2009, Kirkland, WA, USA. Balzergue, C., Puech-Pages, V., Becard, G., & Rochange, S. F. (2011). The regulation of arbuscular mycorrhizal symbiosis by phosphate in pea involves early and systemic signalling events. Journal of Experimental Botany, 62(3), 1049-1060. Glover, M. (2009). Taking biochar to market: Some essential concepts for commercial success. In J. Lehmann, & S. Joseph (Eds. ),Biochar for environmental management(pp. 376). London: Earthscan. IPCC. (2007) Climate Change 2007: Synthesis Report. Contribution of Working Groups I, II and III to the Fourth Assessment Report of the Intergovernmental Panel on Climate Change [Core Writing Team, Pachauri, R.K and Reisinger, A. (eds.)]. IPCC, Geneva, Switzerland, 104 pp. Kabir, Z. (2005). Tillage or no-tillage: Impact on mycorrhizae. Canadian Journal of Plant Science, 85(1), 23-29. Lehmann, J., & Joseph, S. (2009). Biochar systems. In J. Lehmann, & S. Joseph (Eds. ),Biochar for environmental management(pp. 147). London: Earthscan. McCarl, B. A., Peacocke, C., Chrisman, R., Kung, C., & Sands, R. D. (2009). Economics of biochar production utilitization and greenhouse gas offsets. In J. Lehmann, & S. Joseph (Eds. ),Biochar for environmental management(pp. 341). London: Earthscan. Tisdall, J. M., & Oades, J. M. (2012). Landmark papers: No. 1. organic matter and water-stable aggregates in soils.European Journal of Soil Science,63(1), 8-21. Nate D. Van Beilen graduated in 2017 with a Masters degree in Science In Sustainability Management from University of Toronto, Institute of Management and Innovation in Toronto, Canada.